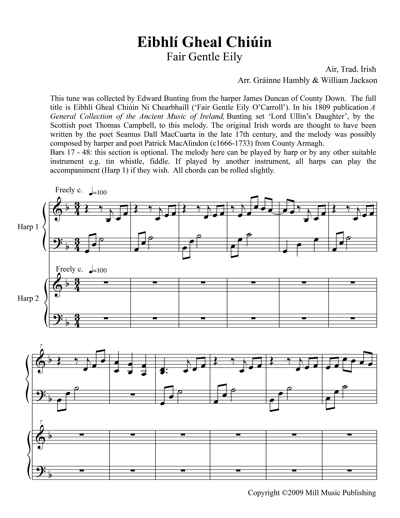 This tune was collected by Edward Bunting from the harper James Duncan of County Down. 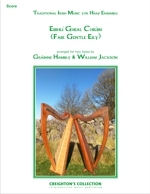 The full title is Eibhlí Gheal Chiúin Ni Chearbhaill (‘Fair Gentle Eily O’Carroll’). 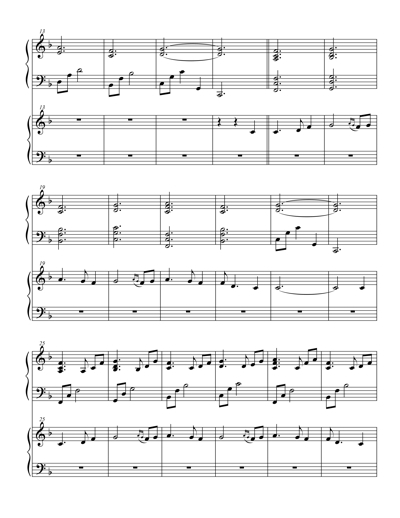 In his 1809 publication A General Collection of the Ancient Music of Ireland, Bunting set ‘Lord Ullin’s Daughter’, by the Scottish poet Thomas Campbell, to this melody. The original Irish words are thought to have been written by the poet Seamus Dall MacCuarta in the late 17th century, and the melody was possibly composed by harper and poet Patrick MacAlindon (c1666-1733) from County Armagh.